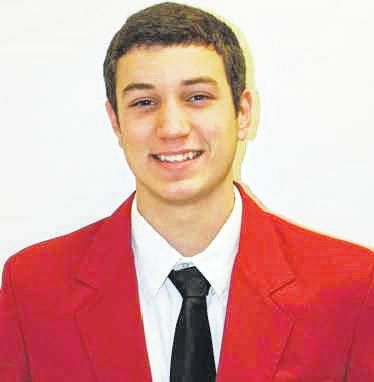 Buckeye Hills Career Center announces Keyan Jenkins, a senior Auto Service Technology student from Oak Hill High School, has been elected a regional officer of the South Central Region of SkillsUSA. This prestigious honor is only held by 42 students in Ohio. Jenkins has been a local officer for two years and this year holds the office of president of the Buckeye Hills Chapter. While being a member of SkillsUSA, he has attended Fall Leadership Conference twice, regional competition, Ohio SkillsUSA championships and the National Leadership and Skills Conference in Louisville, KY. He has competed in Auto Service, Opening and Closing, and Occupational Health and Safety in which he won a gold medal at the state level. He will travel with the rest of the Regional and State Leadership team to Washington, D.C. and Leesburg, Va., where he will participate in the regional officer training to be held at the SkillsUSA National Headquarters in Leesburg. While in Washington, Jenkins will visit the Capital and a wreath laying ceremony at the Tomb of the Unknown Soldier. Submitted by Buckeye Hills Career Center.